Maksim Chmerkovskiy is overjoyed with his new role as a father. 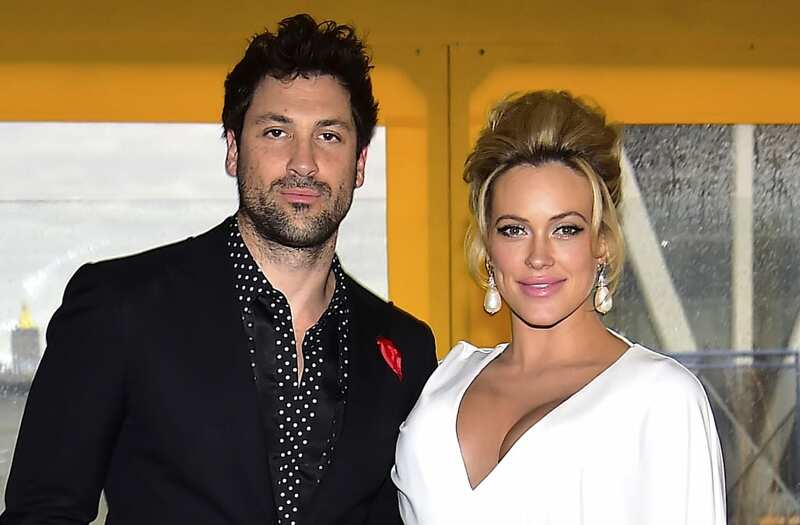 The 36-year-old Dancing With the Stars pro and his fiancee, fellow DWTS dancer Peta Murgatroyd, welcomed their son, Shai, on Jan. 4, and Chmerkovskiy took to Instagram to talk about the monumental occasion. He also explained why fans won't be seeing any baby pics just yet. "It's been one week plus one day of my fatherhood and I'm the happiest person that's ever lived," Chmerkovskiy wrote alongside a picture of his back while carrying his son. "I'm also feeling very protective and now understand what every parent in history have been going through for as long as humans have been giving birth. I don't let too many people come see my son and I don't want to put any of him on social media just yet." "@Petamurgatroyd and I just want to enjoy our little family, together with our loved ones, and take in all the precious moments which we'll never get back," he continued. "So be sensitive please. Or not. Either way, hope everyone's year is off to an incredible start. Ours sure started with a bang. P.S. Farts, poops and throw-ups are the best!" On Thursday, 30-year-old Murgatroyd thanked her fans for all their support, and reinforced Chmerkovskiy's words about privacy. "I would like to take this opportunity to say thank you for all the well wishes for our little Shai," she Instagrammed. "I've read all the beautiful blessings and he is without a doubt a lucky boy. He is a healthy boy with an incredible appetite for food and love. We can't wait to share him with you, but for the first most crucial weeks of his life we're just keeping him for ourselves and soaking up these moments. Thank you for your patience and all of your love!" Last Wednesday, the couple gushed to ET about officially becoming a family of three. "This is, without a doubt, the best thing that has ever happened to us!" the couple said in a statement about the birth of their baby boy.